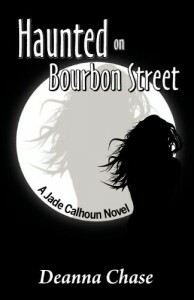 Haunted on Bourbon Street is a great find! 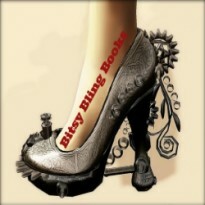 I discovered the series while browsing another paranormal collection I enjoy reading. This little gem was free on Kindle Amazon, so I snatched it up and jumped in with gusto. What a pleasant discovery! I'm a paranormal, ghost-hunting enthusiast, so the subject matter immediately perked my interest. Although set in the well-known, haunted scenery of New Orleans, this book does not dwell on the typical and over-used material often found in contemporary paranormal fiction. Instead, it focuses primarily on the cast of modern, well-formed characters. Another reviewer remarked that the lead was 'simpering' and weak, but I did not get that same impression at all. I thought she was depicted as an inexperienced person dealing with a haunting. At times, she was brave, but showed vulnerability and fear that I believe anyone would express. Some very serious things happen to the characters and the scene building was developed and beautifully executed. Fascination with the paranormal is increasing and so are the groups getting involved in investigating. I particularly liked Ian and his team, how they were prepared on one hand, but ill-prepared on the other. This truly seemed authentic and despite all the weirdness, it was believable. What can you expect? This has a little bit of everything: empaths, dreamwalkers, witches, low-level angels, but this urban tale is grounded in the normalcy of every day dealings. I will definitely be purchasing the second book in the series.